As per usual, this episode’s runtime was dominated by the loved ones visit. 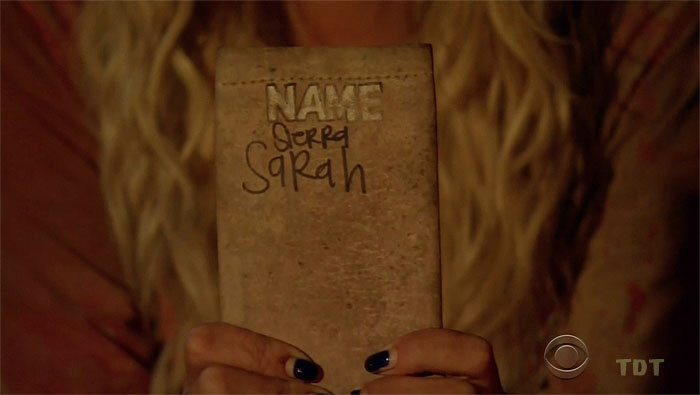 I’m not complaining as it’s a Survivor classic, but did anyone else feel like some people’s reactions were more over-the-top than usual, notably but not limited to, Sarah? Hm. Maybe it was just me. Oh well. I s’pose we should get to it, my friends. Regardless of my overall thoughts on Sierra, I suppose I have to respect the fact that she felt uncomfortable turning her back on her longtime-alliance mates Brad and Troyzan. Although the previous episode she declared she would’ve thrown them under the bus, this episode showed her doing what she could to stay the course and not jump ship. A lover archetype until the bitter end, Sierra even went as far as to will the Legacy Advantage to Sarah—a dear friend she appeared to have faith in. While Sierra’s loyalty might have ultimately cost her game, her ability (or lack thereof) to detect duplicity might very well ensure Sarah can make it until the bitter end. We’re down to the final eight now, folks, and with technically four idols in the circulation, hopefully we will see some great plays coming up here. However, if this season is to follow the MvGX formula, we’re about to see a double boot episode, though one with decidedly higher profile casualties than Will and Sunday. Let’s take a look at the three most likely boots, in my opinion, that could make up this episode’s narrative as well as a brief check at someone whose winner chances are ever going up. To me, Andrea’s warrior edit went from zero to sixty since the Merge began. While, much like Sarah and Cirie, it makes sense on one hand that she’d get a bigger edit once the Merge began due to her actually seeing more votes and making more moves, unlike Sarah and Cirie, her edit seems to be something of a boulder rolling down a hill. As it goes, momentum increases as does how dangerous it becomes. Perhaps one could make the argument that this leads to Andrea barreling through her competition, but I’d say this behavior is indicative of but one thing: Andrea’s going to meet some obstacle and crash. She’s not the same ruler archetype Sandra was by any means, but she’s destined to get toppled all the same. Will it be this next episode? Considering the minority and its challenge prowess plus idols… I don’t think things are looking too good for her. Did You Play This Season? Aubry, to me, seems like the least developed character left. From being so popular in Kaoh Rong to now, I’m a little baffled at her edit this season unless, of course, she plays no real factor in the end-game. She’s been shown to be a part of major decisions, especially since the Merge, but all of those choices seem to be made with her agreement, not because she thought them up herself. She’s been shown to be on the right side of the numbers but without ever taking the reins therein. You know what that likely amounts to? Well, at best, she’ll be a final three goat, at worst, she’ll be a Bret—a relatively low-profile character who I honestly believe is playing a better game than we’re being shown to remain in the know for the bulk of the Merge. Her story might not be up, but that’s more because, for this scholarly player, it never seemed to have gotten off the ground in the first place. Did You Make the Right Move? 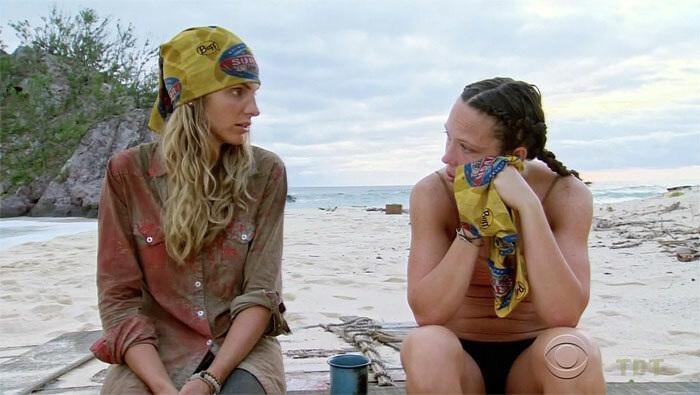 Considering Tai and Michaela—but really it seemed like just Michaela—were edited as the swing votes this week, Michaela’s lifeforce in the game could be boiled down to whether or not she made the right choice to stick with Andrea’s crew. Much like Sierra, Michaela appeared disturbed at the thought of turning on one of her alliance members (though she notably did do so with the “tough” Zeke vote), and thusly, it seemed inevitable she would cling to a safe majority if at least she could. This isn’t necessarily bad, considering she was able to pull Tai over, and you’d have to think both of them would likely be two of the best goats to take to the end. Ergo, Sarah, Andrea, Cirie, and even Aubry must all at least have the thought to keep them both around. Which is, numerically, better than just Brad, Troyzan, and Sierra wanting to keep them around. Considering this, and the fact that as the end approaches all the faster, Michaela is going to be seen as less and less of a threat and more of an appealing person to take to the end, Michaela made the right move by making no move. And this is without even factoring in the scene from a few episodes back when Troyzan, Brad, and Sierra all talked about how they wanted to boot Michaela for being less than an ideal companion around camp. Still, I don’t like Michaela’s chances to even be the final three goat. Cirie, in the Merge episode, mentioned she managed to save Michaela in the hopes she’d be rewarded with loyalty, at least for a time before it became necessary to boot Michaela. 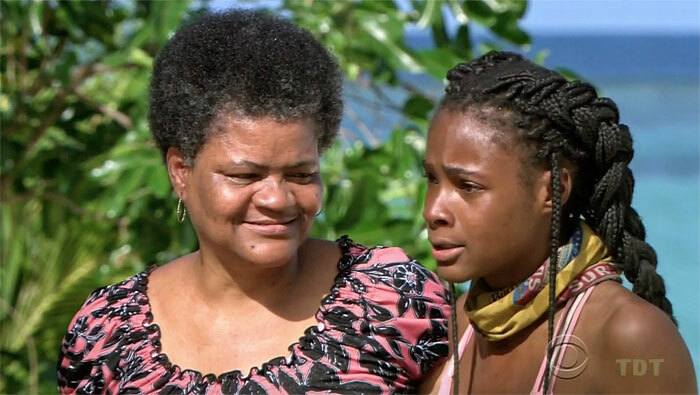 Whether or not it’s Cirie’s vote that puts her on the Jury, and as Cirie seems destined to at least make it to the final six to get her proper tragic hero send-off, Michaela’s fate might lie just before the finale. Like Sierra, her loyalty might doom her. Wow…In All Your Time on Survivor You Never Won Individual Immunity? Please note I meant that tagline to be read heavily sarcastically. My point here is simple, of course, Culpepper has never won immunity in his Survivor career considering this is the first time he’s made the Merge. It would be one thing if Cirie had won immunity and Jeff said that, but for Culpepper to do it…who cares? Yeah it probably saved him last night, but there’s only one reason why editing decided to show Jeff fawn over the season’s biggest remaining alpha male: he’s getting a hero’s edit. This isn’t news to anyone by this point, but given how much they hit us over the head with it this episode, it deserves to be brought up again. Let’s take a moment to imagine a final six with Sarah, Troy, Tai, and three other random people. Firstly, I think this will likely come to pass, but let’s add the additional factor that all three have all their idols intact. Let’s now add on the additional factor that says none of those three win immunity. If all four idols are played, that leaves only one player who is eligible to be voted out. This, to me, would be a travesty, because the only thing the person who got the boot did to go home was not to find an idol. Yes, I understand a social game argument could be made saying that if they’d played nicer with Tai maybe he’d have shared his extra idol, or perhaps a rebuttal noting if they’d been a better physical competitor they could have won the challenge. Yes. Fine. That’s valid, but at the same time, there’s a difference even in being one of two players who could go home (such as in the good ol days of final twos) and being the only person who can go home. I bring this up only because, if this happens, it could very well be the reason someone like Cirie goes home. I don’t think, at this juncture, Tai would give her an idol, and if the final six is something like Sarah, Troy, Tai, Brad, Michaela, and Cirie, I could see Brad winning immunity and Tai protecting his now-ally (and one of the only people he could maybe beat) in Michaela. That would mean Cirie, once more, might get screwed out of the game by forces that are, yes, technically in control, but ones that do not favor her playstyle. I’m sure there are those who think I’m just worrying for nothing or prematurely pouting, but after her heartbreaking loss in Micronesia, I just don’t want to see Cirie go home on a technicality. Let her be properly voted out because she didn’t have the numbers, not because she’s the only one who could go. Prediction time, my friends. As mentioned before, I think this week will be some combo of Aubry, Andrea, and Michaela. My gut says Andrea has to go unless she wins both immunities, and given her competition, that seems unlikely. Now as to who joins her…that’s more difficult. At least looking at formulas from the last three season’s final sixes, there appears to always be one fairly under-edited character in the bunch: Kimmi, Joe, and Bret, respectively. As such, it would lend to reason the editors will do the same thing once again in order to provide more screen time for the rest of the final six in the finale. 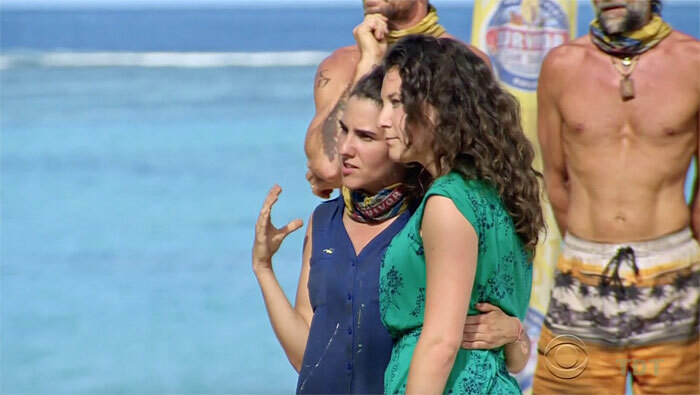 As such, Aubry, I don’t know how you managed to do it, but you squirmed your way back into the final six. A premature sorry to Andrea and Michaela. That’s all for me, dearest readers. I’m going to try my hardest to get a post up next week, but considering I am moving into a new apartment on Wednesday… I cannot make any promises—which is unfortunate for timing in the season, but that’s life, I s’pose.